We are so obsessed with making money that we try to squeeze some amount of it even out of entertainment. One of the popular entertainment venues where people earn money is sport betting, which, of course, is old as time itself. As early as in 4500 BC people already betted on horses competing for the first place in racing in Central Asia. Since then, people have enthusiastically been putting money on horses, wagering on the outcome of a race and winning or losing a lot of money in the process. Now sport betting is not restricted to horse racing. A variety of sport betting depends on a particular country and its rules, but in general people attend and wager on such spectator sports as American football, European football, basketball, baseball, track cycling, auto racing, mixed martial arts, greyhound racing, and dog fighting, among others. In those countries where hockey is popular and where hockey players are admired, sport lovers also bet on the outcomes of the National Hockey League games, though sportbooks do not accept bets on the NHL as readily as they do on, say, the NFL or the NBA. Hence, there are lower betting limits on the NHL games. Yet nevertheless, hockey fans in Canada, America, and elsewhere are used to make score predictions and the NHL picks, using different methods of betting the NHL, on which we are elaborating in the paragraphs below. First, however, comes a warning: betting the National Hockey League is not easy; yet orienting yourself well in hockey is not simple either. Hockey seems uncomplicated only on the surface: all you need to achieve in the game is to hurl the puck in the net as many times as you can. But the deeper you look into the rules of hockey, the more baffling this sport seems. What might be sufficient for winning in betting on other sports is not enough for wagering in hockey. Those who think that, if they know the names of the teams and their players and watch matches regularly, paying attention to strategies used by coaches and players, they can accurately predict the score are mistaken and overestimate themselves. To win money in hockey requires more than such rudimentary knowledge. You need to possess the sharp understanding of betting strategies to make a handsome profit in betting the NHL. There are several of these betting strategies. As a rule, sportbooks online offer different betting options without restricting your choice of them. In addition to the most obvious bet options predicting the winner of the game – a money line bet, you can choose a puck line bet, an over under bet, a prop bet, and a future bet. The most popular betting strategy, the money line bet, is the easiest to understand. To make this bet, you predict what team will win the game. If you put your money on a certain team and it wins, you will make a profit. But though straightforward, this type has a significant catch. The amount of money paid for different teams is not the same. How much money you win depends on the popularity of the team but in a reversed order. That is, the more famous and applauded the team is, the less money you receive from the sportbook. Many would agree that this is fair and understandable, since it is easier to foresee the upward trajectory of the star team than to envision correctly the rise of the weaker one. You will thus get paid according to the probability of a specific team’s victory. With this said, you also need to factor in the public’s overall betting on each occasion, since how the majority is betting can also influence the amount of money you will be paid. Your profit will, therefore, vary with every bet. Similar to the money line bet is the puck line bet, like the former, depending on the outcome of the game. But there are essential differences between the two strategies. In the puck line bet, the determining condition is the team’s winning by more than 1.5 goals or, vice versa, by losing by less than 1.5 goals. When you employ the money line strategy, it is irrelevant how many goals the team scores. Whatever the final score, you receive your money, although, as mentioned, the amount you get fluctuates. With the puck line strategy, the final score is crucial for your profit. For you to earn money, the team you bet on should win the game by more than 1.5 goals. Its opponent can lose the game by 1.5 goals or less, and you will still profit. The amount you receive if you guess the winning team correctly also varies but much less than in the money line bet. A completely different betting strategy in the NHL is called the over under bet. Unlike the two strategies discussed above, this strategy focuses exclusively on the total number of scored goals by both team in the match. You need to predict whether the total number of goals will be larger or smaller than a specific number designated before the game. To understand this strategy, it is helpful to compare it to how it works in other sports. Elsewhere, the designated number changes, while the payout odds do not. 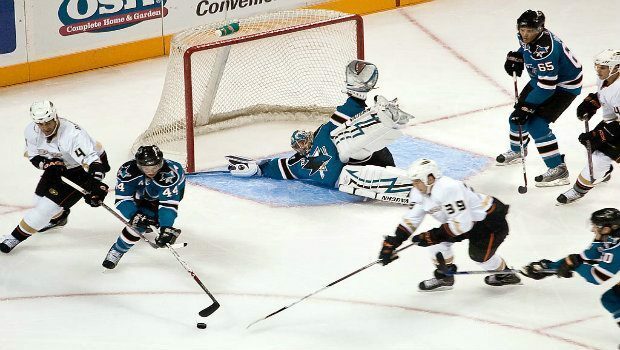 In the NHL, the rules are exactly opposite: the designated number is always 5.5 goals. There is no variety here. It is the payout odds that fluctuate in the NHL to agree with the line changes. Yet another betting variety is the prop bets. This is the kind of betting we most commonly do in our lives, when we make a proposition and define a wager for it. If you say to somebody that you can bet $100 that tomorrow will be the 5.9-magnitude earthquake in Chile, you are actually making the prop bet. Sportbooks allow an array of prop bets in the National Hockey League, dividing them into the skilled and unskilled ones. As its name suggests, the skilled bet requires you to use your expertise and knowledge of the NHL and playing strategies. The unskilled bet, by contrast, is based on your lucky guess. Needless to say, it is better to make the skilled bet rather than shoot in the dark, if you want to profit from your wagering. Like betting on any sport, wagering on the NHL can bring you large rewards. If you take your time to study the betting strategies and practice with small amounts before venturing to place more money, you will be able to reap handsome profits while watching interesting hockey games and enjoying yourself.